What’s remarkable about T’Keyah’s story is not only the fact that she was able to move so far away from home and establish her own brand, but at such a young age as well [she just recently turned 23]. Like many other young entrepreneurs can relate, she has to find ways to balance life, work and play–which isn’t always the easiest thing to do . We caught up with her in hopes that she could shed some light on what its like to live the life of a 23-year-old business owner, how she got inspired to start a career in fashion and where she sees herself and the brand growing in the near future. Coco & Butter: How long have you been into fashion? C&B: Tell us the story behind Canada Chic Vintage. When did you start? How did you come up with the name? Why Vintage? TK: Canada Chic Vintage is literally like my baby–my child. I birthed her in 2011 and she’s just blossoming so beautifully. Vintage is one genre of clothing I absolutely love because it’s so unique and different. You can style yourself head to toe and really make it YOU. Also–it’s a plus that no one else will have that on. I got a kick out of just looking different so I figured I’d share that love with other vintage enthusiasts by putting a line together. Back then it wasn’t really as “trendy” shopping at the Goodwill’s and thrifting, but I like to say I have always gone against the grain with fashion. Vintage is like a prized possession to me. My grandmother pretty much sponsored the beginning stages of my business. Before I moved to Atlanta, I had a suitcase full of my personal stuff, then granny had another suitcase for me full of all of her vintage goods from clothing, accessories and handbags. I mean all 1960s/70s EVERYTHING! Needless to say I died, came back to life, then I proceeded en route to Georgia [laughs]. So when I networked with a circle of women in the fashion industry down here, specifically vintage, I was all good to go as far as merchandise. 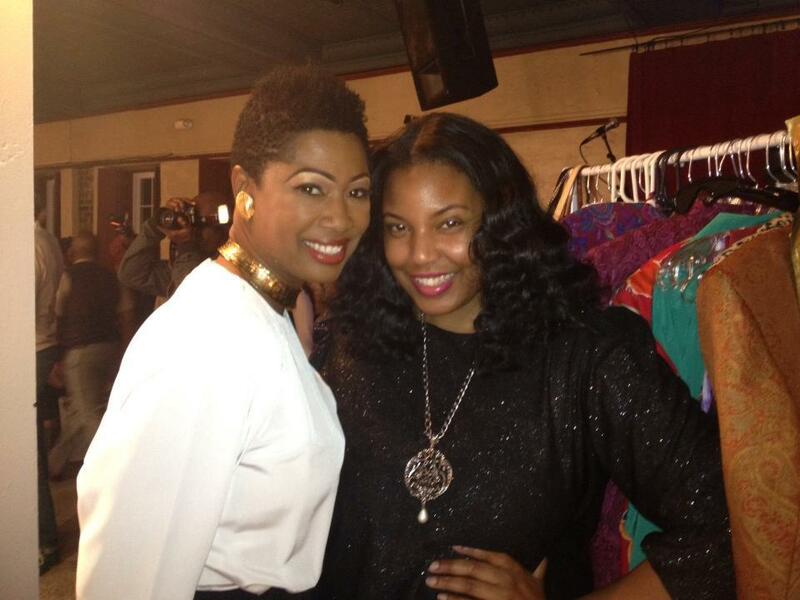 So her items she gave me were my very first collection I presented to anybody. 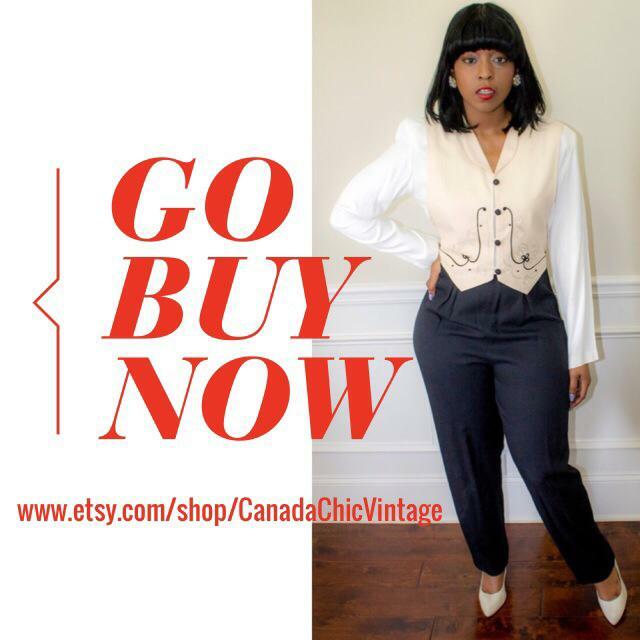 The name Canada Chic Vintage comes from my last name, “Canada.” I always said If I were to get famous, own a business, etc., I would ALWAYS use my last name in whatever I’m doing. It’s just different–and I mean, who wouldn’t? [laughs] It’s funny because I do so many events in and around the city and people always come up and say, “Are you an international business? Is your line from Canada?” The “chic” part is just another catchy word I threw in because that’s how I wanted my clients to feel rocking my pieces. Chic is about as classy as a lady can get when she’s feeling good in her attire. C&B: How do you juggle your job and your career? TK: Honestly the banking industry isn’t so bad because of the hours–it’s just a typical 9-5 with free weekends so I have tons of time to work on my business after work and on the weekends. Also I learn from banking because it helps me with the finance part of owning a business, so it’s a win-win in a way. I realized that I had to work on my business just as much as I work my day job so I always try to stay as busy as I possibly can. No down time for me because I don’t believe in laziness. People who we aspire to be like–who are at the top–have the same 24 hours in a day as I do. And they got where they are because they used time wisely. So I try to use all of my time up in the most valuable way. When I find myself getting annoyed that I can’t get like 6-7 hours of sleep I always think, “Beyoncé is not sleeping right now” and for some reason it all makes sense again. TK: My mom inspires me because she taught me what hard work truly means. My mom has been working non-stop and has been at her job for 22 years–so growing up I knew that was something I had to do. I’m working on my dreams, which she always pushed me to do. My family is so supportive. Although I didn’t follow the normal route of “going to school and getting a good job with benefits” they knew that I wouldn’t excel doing that. So they support me and all of my crazy ideas. But my mom taught me that the work never stops. What you nurture the most will become the most fruitful for you. So I’m inspired to keep doing what I do for my family. That’s what ultimately motivates to keep going. C&B: What do you like to do during your free time? TK: Free time? I feel like I don’t have any anymore [laughs]. But you know what, I’m so OK with that. Free time for me now is like wine and a good movie at home. I’m a wine connoisseur and I want to literally retire in Napa Valley. Also, me and some of my friends have “workshops” which is not necessarily a free day, but we all get together at someone’s house work on our separate projects and drinks our involved lol. So that’s a nice free time activity for me too. C&B: What does fashion mean to you? TK: Fashion means everything to me. I truly believe it makes the world go ’round. I always reference Miranda Priestly in “Devil Wears Prada,” because although Andy thought that she didn’t care about fashion, her whole life ultimately became it. It’s that powerful. And really a force to be reckoned with. I think there’s so many misconceptions about the fashion world, but even to someone who isn’t in the industry they wake up and put together an outfit for work. They take time out of the morning to do that, that’s because fashion is that influential. A world that powerful, I have to be a part of it. C&B: Who would you like to style/work with? 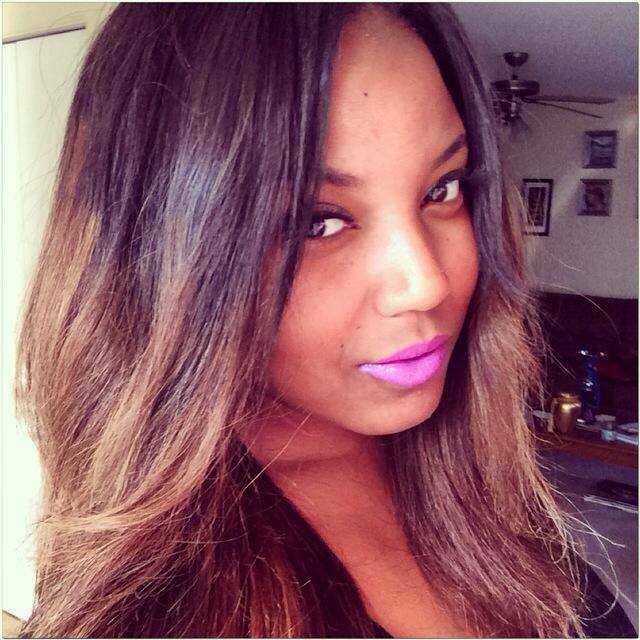 C&B: What’s next for T’Keyah? 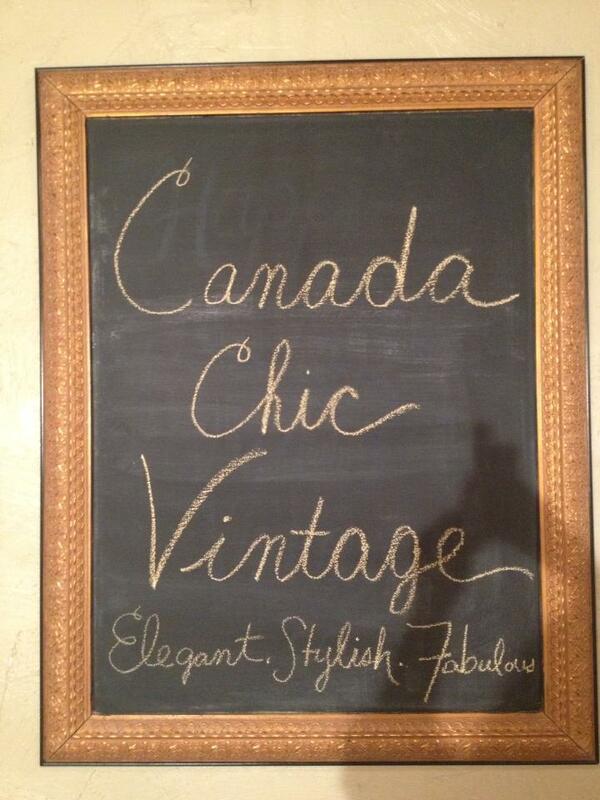 What’s next for Canada Chic Vintage? TK: I consider myself a creative artist. You know, like I’m not just doing one particular thing–that’s played out. I believe people can master whatever they want. For myself, I’m just working on my personal SELF journey, I try to workout and eat healthy and all that good stuff. Meditating is another area of interest, so I’m going to start taking classes soon. I’m just learning in order to be a good person all around for your friends, family, for your business, even for a stranger that SELF has to be together first. That’s my main goal. I am also taking acting classes right now as well. Not sure where that’s going to take me, but since elementary school I’ve always done stage plays, etc., and the thought of acting never left my mind. An opportunity presented itself and of course I took advantage. Business wise, a lot is next for Canada Chic! I’m excited because I’m finding creative new ways to keep the momentum going. I will be hosting a series of Sip & Shops come the fall and I also am a part of a creative vintage group called, “Thirsty 4 VINTAGE.” There’s 6 women, including myself, and we all own our own resale clothing lines and are traveling collectors who host events in and around [Atlanta]. 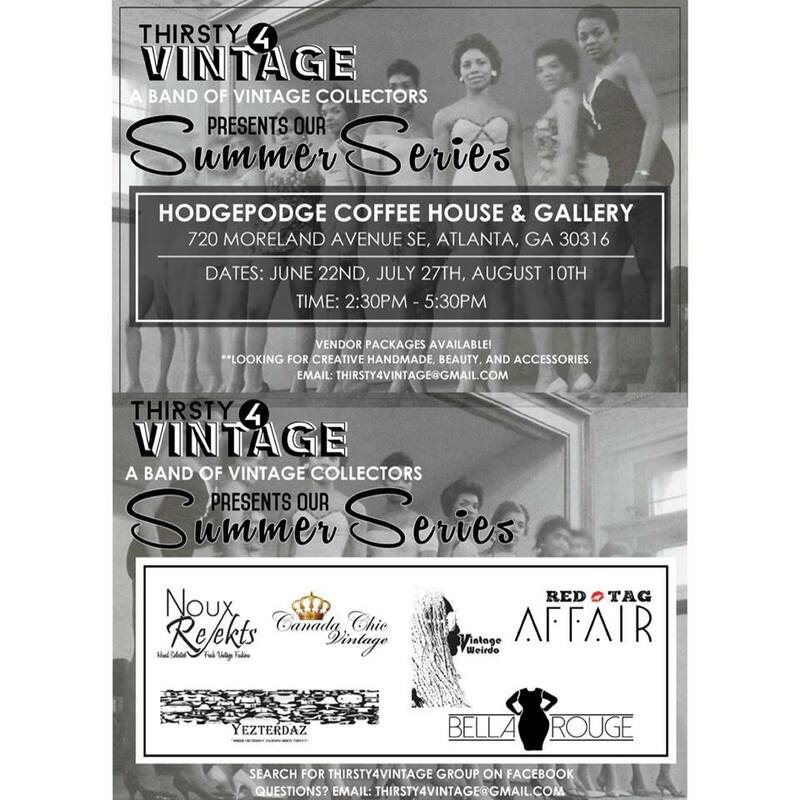 We are currently in the middle of our Summer Series where we have an event each month this summer at Hodge Podge Coffee Shop & Gallery, so Canada Chic will be featured there the rest of the summer as well. C&B: Where can we find your vintage pieces? TK: Canada Chic Vintage can be found locally in Atlanta, GA and online. 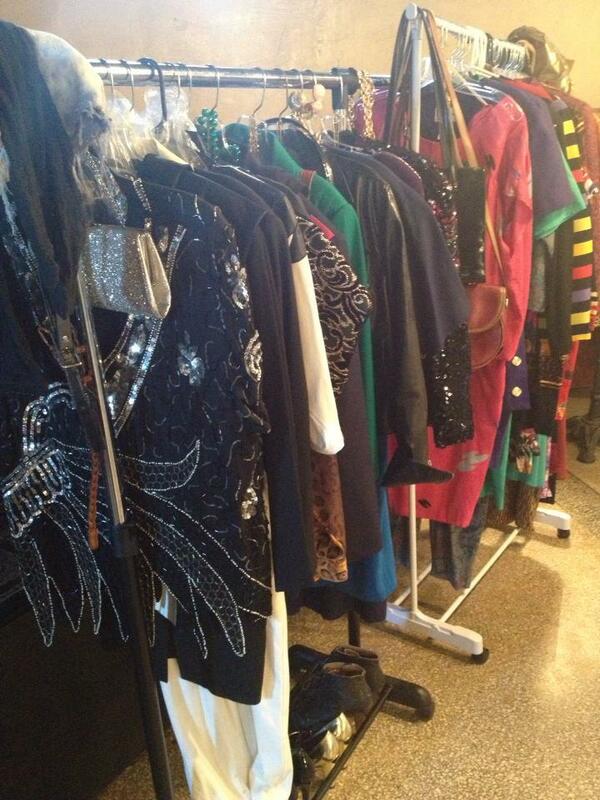 I have private styling and shopping sessions at home for my clients and I do a lot of vending around the city too. Follow my business pages on social media to keep up with my whereabouts as far as vending, big sales, etc.! Coco & Butter Take On Dallas!